Great location in Old Munichburg! Located near Central Dairy, Busch’s Florist and Ecco Lounge. 2,516 sqft of nice open space with separate offices and restroom. 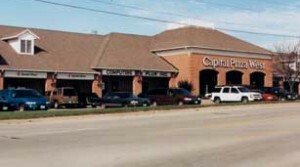 14100 & 14104 Redfield Dr.
1400 sq ft fully furnished restaurant located in West Village Shopping Center.